Have you ever heard of Neemrana?Rajasthan is mostly Jaipur and Jaisalmer,famous for forts palaces and sand dunes.And of course the great camel safari. Apart from that,rajasthan is all about good food.I still remember those bylanes of jaipur where I had the "drenched in shudh ghee" veg thali. But where is this neemrana?And why havent we heard of it yet. Neemrana is a 1.5 hour drive from delhi and an amazing place to enjoy your day and your stay.And of course the amazing ziplining over the top of the hill which surrounds the fort of neemrana. 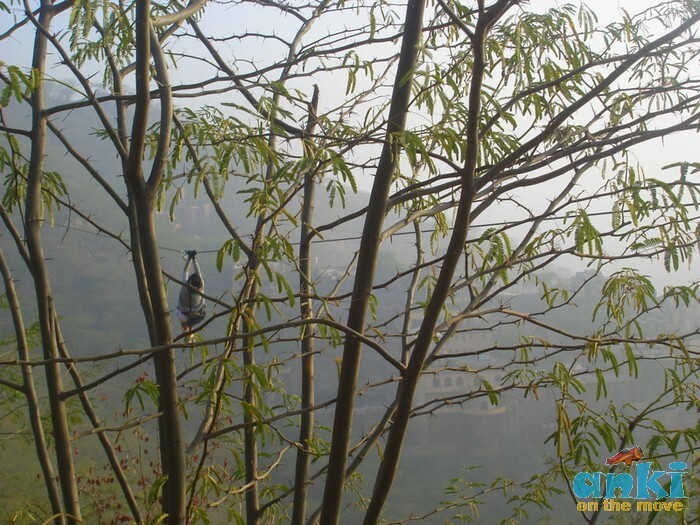 -Flying fox,the ad in the newspaper which had the thrilling ariel tour best pic. -Delhi is mostly about janpath and historical forts,and Neemrana proved to be a great escape. 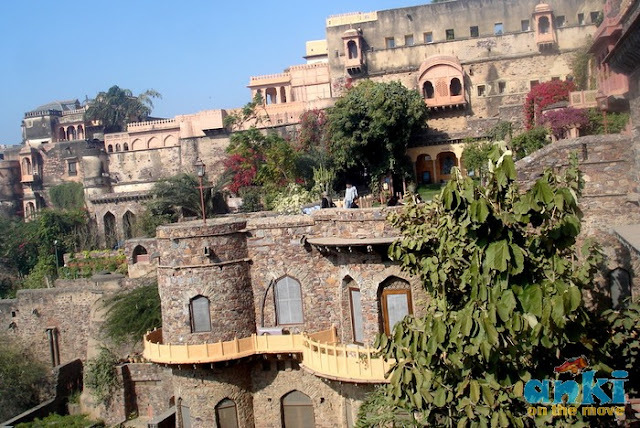 -Neemrana is an ancient historical town in Alwar district of Rajasthan, India, situated at 122 km from Delhi on the Delhi-Jaipur highway in Behror tehsil. It is the site of 14th century Hill-Fort ruled by Chauhans till 1947. 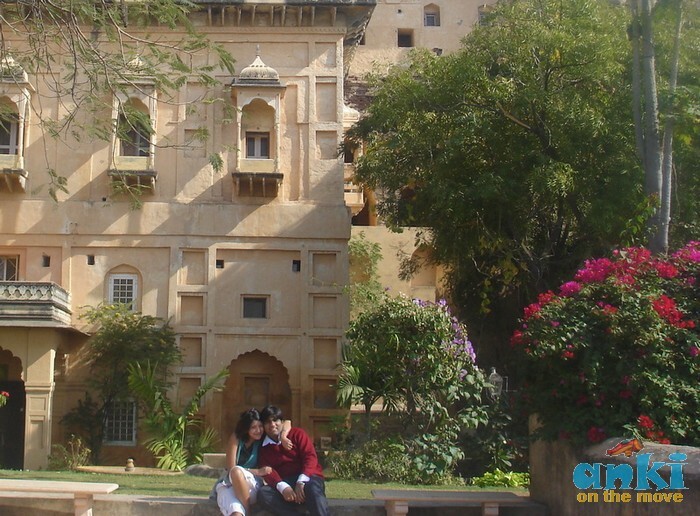 -Built since 1464 AD, Neemrana Fort-Palace is today among India's oldest heritage resorts, started in 1986 . 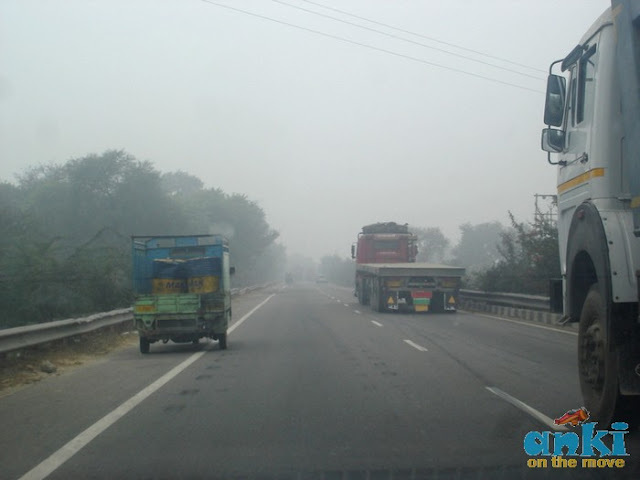 - It is located on a high hillock and it commands magnificent views of the surrounding beauty and got its name from a valiant local chieftain named Nimola Meo, situated at 122 km on the Delhi-Jaipur highway - only 100 km from Delhi's international airport. 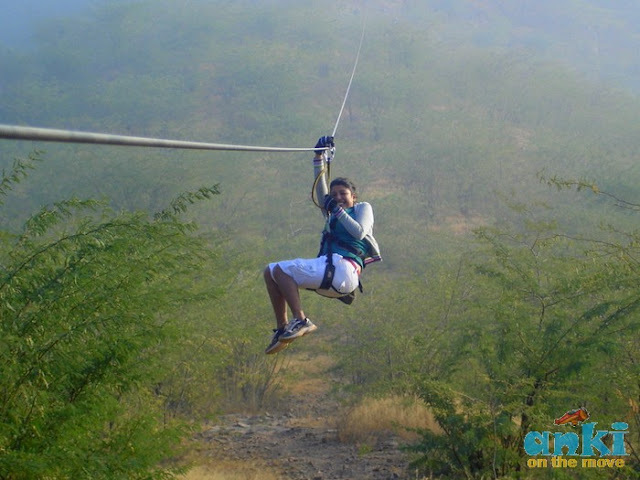 -Flying fox zip line tours – a unique and exhilarating journey between battlements, hill forts and ridge tops located at Neemrana Fort Palace near Delhi. 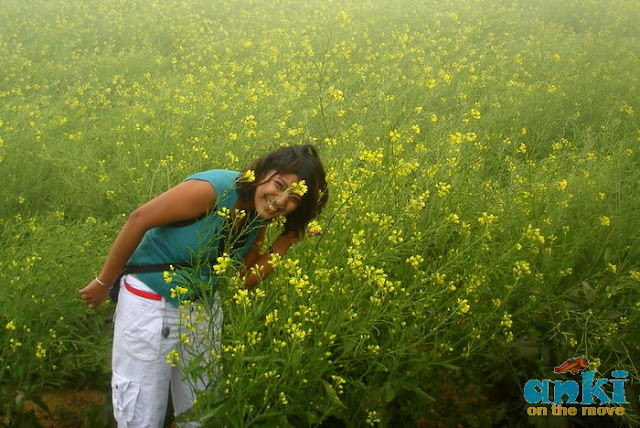 Some jouneys are long,and boring(i.e drive from daman to ahmedabad).And some jouneys are short yet interesting.The route from delhi -> Neemrana was scenic.The mustard field welcomes you with open arms on both side of the highway. Neemrana,is a small town on the delhi highway...And once you reach the town,you might be kind of lost as we were.The Neemrana fort is visible from a distance as the fort is on a hill,though we had to figure out the entry by asking the locals there. 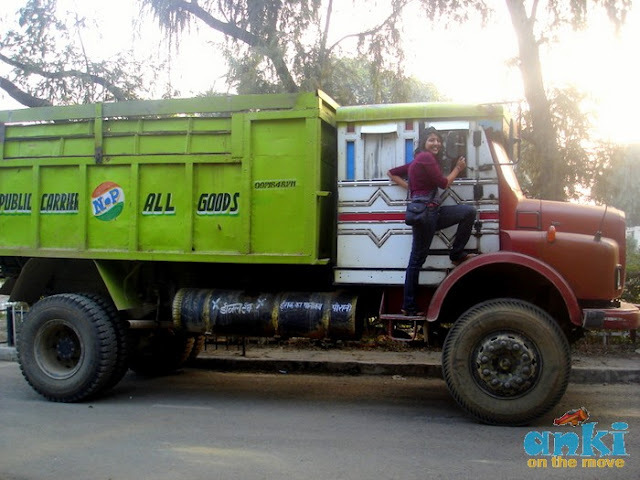 There are parking facilities available in front of the entrance of the Neemrana fort. 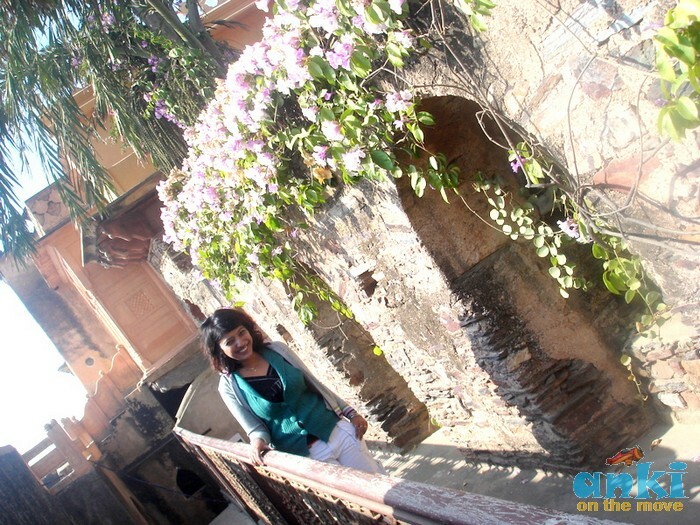 Neemrana fort's a beauty! If you havent been to this place,I must tell you please add to your list of must visit places. Neemrana fort now converted to a hotel has an entry fee of Rs 500/- pp and the fort is one of the well maintained forts of the country.The view from the fort is amazing with hill surrounding from all the sides,in fact the fort rests on the hill. 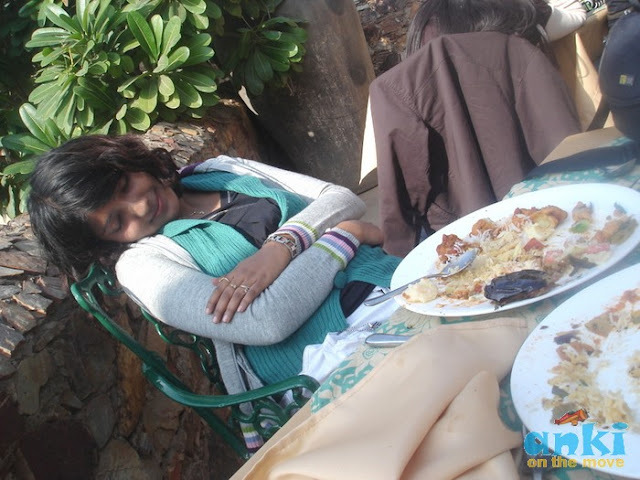 THE FOOD AT NEEMRANA FORT WAS..
Ok..not overtly spicy to our taste,but yes considering the majority of foreigners as guests in the hotel,the food was prepared keeping in mind their taste. The best part is you can visit the fort on your own,the fort is build up four five floors and each floor has a different view.The open swimming pool in the fort was a great concept as there is no place I have seen where a pool is built in a palace on the hill. The moment we stepped in their office they had a peek-a-boo window from where you can see people ziplining across several wires.As the office was at a low height and the ziplines were way above,it seemed like ants running feircly over the wires. Simple isnt it?? ?We were a group of 10-12 people and we all trekked to certain distance and then we had our first zipline. The instructors demonstrated us on how to attach the harness,how to hold onto the line,the ziplining position all the way.It's not rocket sciece,its pretty easy,and if the height scares you they are always eager to push you to experience what you otherwise might not. And once you are into the line,the speed of the zipline is such that you'd feel the air rushing and pushing you,sometimes playing with you even turning you around. All when you are several feets above the ground and thats not it.They have 5-6 rounds of ziplining all from a certain height.So you trek and you zipline,and you trek again and you zipline again..Then you go down and you zipline and then know what you can do when a zipline holds you in the middle (yes that happens,then you got to turn around and drag the rope so that you move forward,or else the instructors are pretty good they attach you to their harness and then both of you can come back). I loved my group,there was a couple from new zealand,in their 60's and they wanted to try out ziplining in India.There were groups from all over India as well.This was when ziplining had just started and wasnt as popular as it is now. I loved the first over the hilltop push...It went on smooth and fast and exhirating and thrilling.And then there were series of treks and ziplines,but all in all it was a great experience. As far as I remember the 3rd or 4th zipline was amazing,on which we had to land on the top of a small cement roof..might be size of a not more than a table tennis board,and there was the valley surrounding it.And it was fun to get stuck in one of the ziplines (all of us had) and then we had to push ourselves on the rope to reach the final exit. 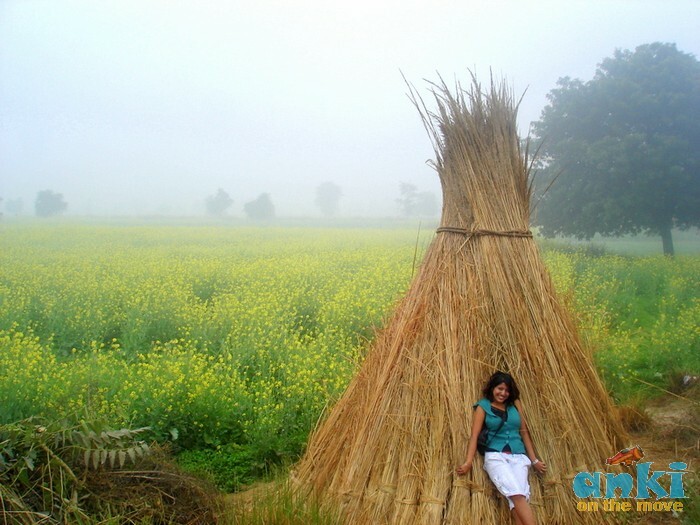 Advantage of Neemrana: Perfect for a day outing. Disadvantage of Neemrana: Pack your food along,if you are really into spicy food as there are not many options. REQUEST: FLYING FOX WE LOVE YOU.THANKS FOR PROMOTING THIS ADVENTURE,PLEASE INSTALL CAMERAS,SO THAT WE HAVE OUR LIVE PICS AND VIDS OF WHAT WE HAD EXPERIENCED. @Atishay:All the best.Do not forget to share your experience.. 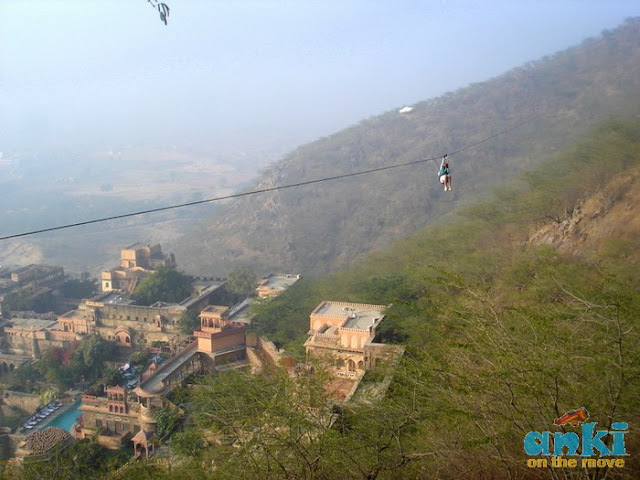 I have been to Neemrana fort Palace last week to have a thrilling experience of aerial zip lining. I enjoyed vintage car ride, camel riding the mouth watering lunch at the fort restaurant. 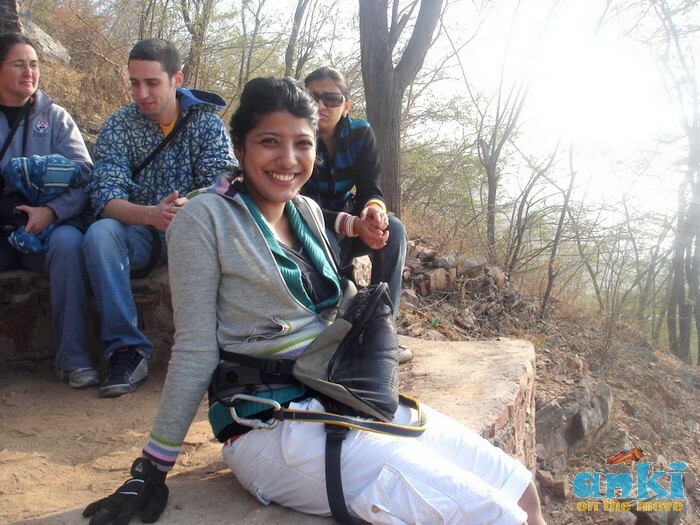 I must say that the experience of zip lining in India over the Neemrana Fort Palace was awesome.